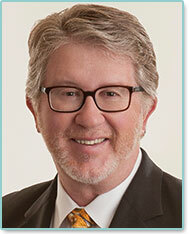 Ronald V. DeMars, MD is the leading provider of the QuickLift® Face Lift procedure in the Portland, Oregon area. Dr. Ronald V. DeMars is double board certified by the American Board of General Surgery and the American Board of Plastic Surgeons. He is a member of the American Society of Plastic Surgeons, Inc., American College of Surgeons, Oregon Medical Association and the Northwest Society of Plastic Surgeons. Dr. DeMars obtained his undergraduate degree from Texas Christian University and his medical degree from The University of Oregon Medical School in Portland, Oregon. He participated in a select internship program through Ben Taub General Hospital in Houston before serving as a medical officer in the Navy. During the eight years he served with the U.S. Navy, Dr. DeMars completed his general surgery residency at the U.S. Naval Hospital in Oakland, California. After leaving the service, he fulfilled his plastic surgery residency requirements at Pennsylvania State University's Milton S. Hershey Medical Center before opening a private practice in his hometown of Portland, Oregon in 1982. With over 25 years of experience Dr. DeMars combines his artistic vision, surgical talent and compassionate attitude to provide all patients with a pleasant treatment experience and beautiful surgical results. He and his team treat each patient with the highest level of care in the safe, soothing environment of their fully accredited plastic surgery Portland facility. This focus of Dr. DeMars and his team is to provide patients with aesthetic results that enhance their appearance yet look completely natural.